Any Club at our level can’t exist without its army of volunteers. Our volunteers are the backbone of the Club, they ensure our matches go ahead without a hitch. Here at Bishop we have been fortunate to have many volunteers who have been with us for a good number of years and some who have recently joined us. There have been a few changes so I thought it would be a good opportunity to let everyone know what’s happening while at the same time express my appreciation, on behalf of the Club, for all the work our volunteers do. 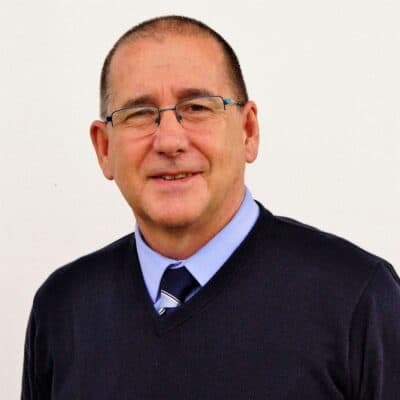 David Strong has recently resigned as Match Secretary and I would like to thank him for all the time and commitment he put into this position over many years. We are now looking for someone to replace David as Match Secretary. The position involves liaising with match officials and opposing teams regarding scheduled matches, attending home and away matches, completing the team sheet before and after matches, completing registration and transfer forms as and when required and dealing with correspondence from the League, the FA and Durham FA. Being able to travel to matches in time to complete the team sheet (45 minutes prior to kick off) and having some ICT skills are essential. If you are interested in taking on this vital position, then please don’t hesitate to contact us at the Club. Gary Ventress has been our groundsman for several years and due to other commitments is reducing the amount of time working on our pitch. Gary is now our ‘consultant’ groundsman and will advise our volunteers groundsmen on the work required and he will also carry out the more complex work for us such as verti-draining, fertilising and seeding the pitch etc. as and when required. Peter Jackson and Dave Illingworth now carry out the main day-to-day tasks in getting the pitch ready for all home games as well as looking after the surrounding grassed areas of the ground. Malcolm Watson looks after the maintenance of Heritage Park and arranges the work to carried out such as security / fire / smoke alarm testing and maintenance, arranging equipment (including the lift) servicing and repairs and general wear and tear maintenance. You will also see Malcolm after matches going around Heritage Park emptying the bins! Match days at Heritage Park are when you see most of our volunteers working for the Club. Kit man Michael Walker will have arrived early to hang-up the strips for our players in the dressing room, get the training balls and match balls prepared, water bottles filled and get the training equipment ready for the players warm-up. When guests and spectators arrive, you will find Alfie Smirthwaite manning the car park and Alan Walker at the main entrance along with Kathryn Stephenson who as a registered ‘first aider’ is on hand during matches should anyone require assistance. Our turnstiles are manned by Douglas Johnstone and Vince Taylor and selling our Golden Goals and 50-50 tickets is Paul Hartley and last season’s ‘Volunteer of the Year’ Bob Black ably assisted by Jordy Barkus. Phil Carlton and Michael Buckley help us on match days when work commitments allow. Keeping supporters informed of the teams, goal scorers and substitutions is our public-address announcer is Pamela Cowey. Upstairs in the function room on match days you will find our catering service where Margaret and John Dixon provide tea and coffee and half time hospitality and post-match meals for players ably assisted by granddaughter Sophie Dixon. Our Club Shop is operated by Michelle Postma and Maureen Brassell where supporters can buy a range of club merchandise ranging from replica home shirts to scarves, fleeces and hoodies. Joanne Illingworth helps out too on the Club Shop and also helps with catering when needed. During games, you will see youngsters Harley Jones and Ben Dixon running after balls that have gone over the fence into the car park next door and we have teams from St Mary’s Juniors acting as mascots and ball boys on match days. Finally, a big thanks to my fellow Directors. We are also volunteers! Great initiative. Great club and rich sense of belonging. Keep working hard guys.